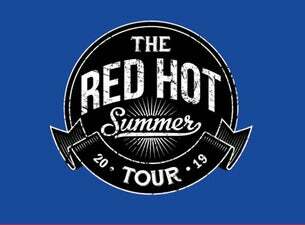 The RED HOT SUMMER TOUR is back in 2019 and the Series One announcement is nothing short of massive! Featuring Australia’s favourite son Jimmy Barnes, Joan Jett and The Blackhearts, The Living End, Diesel, Richard Clapton and Chocolate Starfish, the run of eight dates takes in South Australia, Western Australia, Victoria, Tasmania, New South Wales and Queensland. With such a stellar line-up, it isn’t hard to see why the RED HOT SUMMER TOUR has earned the reputation as one of the best regional festivals on the touring circuit. Jimmy Barnes is synonymous with Australian rock’n’roll. He is also no stranger to the RED HOT SUMMER TOUR. As the legendary frontman of Cold Chisel, and though his own chart-topping solo career, his incendiary live show now includes classics like Khe Sanh, Flame Trees, Working Class Man and No Second Prize. Jimmy recently enjoyed his 15th #1 album in his homeland - surpassing the Beatles’ record. Over the last two years his two volumes of memoirs - Working Class Boy and Working Class Man have both been bestselling books and they have also both won ABIA Awards as Australia’s Best Biography. The associated Stories & Songs tours have attracted some of the best reviews of Jimmy’s already stellar career so he is literally in ‘Red Hot’ form right now. Any time in the company of Jimmy Barnes is the epitome of a rock experience, and his performances on the 2019 RED HOT SUMMER TOUR promise to deliver all that and more! There is no doubt about it, Joan Jett and the Blackhearts are responsible for some of the most anthemic punk and rock music of all time. Cherry Bomb is a track embraced by girls all over the world, young and old. Bad Reputation, was recently certified as a digital Gold Record. Joan Jett’s songs are all over TV and Film. The Rock and Roll Hall of Famer is one of the most respected performers of all time. Her music is pure Rock and Roll, and she likes her Rock and Roll serious. Joan Jett is as relevant today, as when she started out. Audiences at the RED HOT SUMMER TOUR will be treated to timeless rock anthems such as I Love Rock N Roll, I Hate Myself for Loving You, Crimson and Clover, Do You Wanna Touch, Cherry Bomb, Bad Reputation, and Little Liar, to name a few. Joan’s legacy has grown as a result of decades of hard work and unwavering dedication to her principles. Her live show has always been legendary. If you miss this – give up! The Living End are considered Australian rock royalty, and for good reason. Their blistering live performances have seen them perform far and wide, and their reputation precedes them, they rock from the first note to the last. When The Living End first smashed onto the scene in 1997 with their double-A single Prisoner of Society and Second Solution, they embraced a new Australian sound and fans and critics sat up and listened. Since then they have released seven studio albums, two of which have debuted at #1 on the ARIA Chart – four of those are Platinum and two are Gold. They have been nominated for an incredible 27 ARIA Awards. They are close to releasing their eighth studio album and audiences at the RED HOT SUMMER TOUR will get to see the band in full flight! As one of the country’s most revered guitarists, Diesel first burst onto the music scene as Johnny Diesel and The Injectors and instantly turned heads. When he went solo, he earned even more fans, both across the blues and rock scene and with hits like Tip of My Tongue, Cry in Shame, Come to Me and Never Miss Your Water, plus many more. He is the musician’s musician – his performances are multifaceted, audiences are treated to great vocals while being mesmerised by his guitar solos. RED HOT SUMMER TOUR audiences are certainly in for a treat. Richard Clapton is an artist of legendary status. With songs such as Deep Water, Capricorn Dancer and Girls On The Avenue in his arsenal, Richard has captivated audiences for decades. He released his debut Prussian Blue in 1973 and has never looked back. Still making music and still performing to packed houses, he is a true pioneer of the rock scene. With a career spanning four decades, he has a wealth of experiences, all of which are channelled into every performance. His inclusion on the RED HOT SUMMER TOUR is an exciting one for music fans. Hot on the heels of the announcement of Series One of the RED HOT SUMMER TOUR, the festival promoters are excited to announce Series Two featuring the Ultimate Rock N Roll Line-Up. Kicking off in February 2019, Series Two of the coveted touring festival will see the return of the Queen of Rock Suzi Quatro, with special guests The Angels, Baby Animals, The Screaming Jets, Jon Stevens, Moving Pictures and Chocolate Starfish. Aussie rock doesn’t get much more powerful than The Screaming Jets. After celebrating their 25th anniversary in 2014, they released a long-player of all new material in 2016 – Chrome – an album which showed the band were still rockin’ as hard as when they first crashed onto the scene in Newcastle back in 1989. In 2018 the band are gearing up for another album release – Gotcha Covered – which hits the shelves in July. With a swag of hits such as Better, Helping Hand, Sad Song, October Grey and Come On under their belt, The Screaming Jets are renowned for their pumpin’ live performances. They will certainly rock the RED HOT SUMMER TOUR in 2019.